Affordable prices. Fast shipping. Easy returns. Sell Textbooks. Get Cash. Save the Planet. 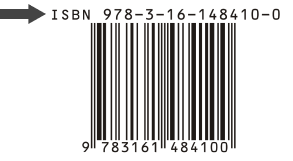 Get an instant quote by entering the ISBN number(s) of each textbook! Click “Sell” to get started! Pack your textbooks and ship them for free. That’s right, you heard us! Shipping is completely free! Get paid fast by PayPal, cheque, and email transfer! We pay within the same day of receiving shipment! Pretty good recycle price on used textbooks, fast conformation, free shipping, 100% great website for buy and sell books! Paid for shipping, immediate quotes, extremely easy process. Excellent company to use for buybacks and getting rid of old textbooks! Second Bind made the process of selling my books easy. They gave fair prices and were quick to respond to e-mails. Subscribe to receive our newsletter and coupons!